Fang, C., Li, Q., Min, G., Liu, M., Cui, J., Sun, J. and Li, L. (2017). MicroRNA-181c Ameliorates Cognitive Impairment Induced by Chronic Cerebral Hypoperfusion in Rats. Mol Neurobiol 54(10): 8370-8385. Li, Q., Cui, J., Fang, C., Liu, M., Min, G. and Li, L. (2017). S-Adenosylmethionine Attenuates Oxidative Stress and Neuroinflammation Induced by Amyloid-beta Through Modulation of Glutathione Metabolism. J Alzheimers Dis 58(2): 549-558. Zhang, X., Huang, X., Fang, C., Li, Q., Cui, J., Sun, J. and Li, L. (2017). miR-124 Regulates the Expression of BACE1 in the Hippocampus Under Chronic Cerebral Hypoperfusion. Mol Neurobiol 54(4): 2498-2506. Li, Q., Cui, J., Fang, C., Zhang, X. and Li, L. (2016). S-adenosylmethionine Administration Attenuates Low Brain-Derived Neurotrophic Factor Expression Induced by Chronic Cerebrovascular Hypoperfusion or Beta Amyloid Treatment. Neurosci Bull 32(2): 153-161. Yang, Q., Wu, X., Sun, J., Cui, J. and Li, L. (2016). Epigenetic Features Induced by Ischemia-Hypoxia in Cultured Rat Astrocytes. Mol Neurobiol 53(1): 436-445. Wu, X., Sun, J., Zhang, X., Li, X., Liu, Z., Yang, Q. and Li, L. (2014). Epigenetic signature of chronic cerebral hypoperfusion and beneficial effects of S-adenosylmethionine in rats. Mol Neurobiol 50(3): 839-851. Gu, X., Sun, J., Li, S., Wu, X. and Li, L. (2013). Oxidative stress induces DNA demethylation and histone acetylation in SH-SY5Y cells: potential epigenetic mechanisms in gene transcription in Abeta production. Neurobiol Aging 34(4): 1069-1079. Wu, X., Sun, J. and Li, L. (2013). Chronic cerebrovascular hypoperfusion affects global DNA methylation and histone acetylation in rat brain. Neurosci Bull 29(6): 685-692. Liu, H., Xing, A., Wang, X., Liu, G. and Li, L. (2012). 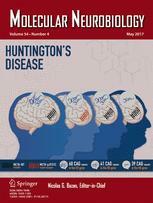 Regulation of beta-amyloid level in the brain of rats with cerebrovascular hypoperfusion. Neurobiol Aging 33(4): 826 e831-842. Guo, X., Wu, X., Ren, L., Liu, G. and Li, L. (2011). Epigenetic mechanisms of amyloid-beta production in anisomycin-treated SH-SY5Y cells. Neuroscience 194: 272-281.